The Amana GME8 Distinctions furnace offers better performance features than the standard Amana line with a very small price increase. It’s a good choice for budget-minded homeowners who want features that lower the noise and increase the comfort in their homes. Paula in Ankeny, Iowa shares her Amana GME8 Distinctions gas furnace price with us in this HVAC prices post. “Our 14 year old furnace went all to heck last month and the estimate to fix it was ridiculous. It was a super-cold month here so we were scrambling to get a furnace before the pipes froze – or we froze! Thankfully the tax return hit our account the same week so easy come, easy go, but it took some of the sting out of it. We got bids on Carrier and Trane too, but the best deal – as well as the quickest service – came from the Amana dealer. We had 2 cold nights but on the third day they came and replaced the furnace. We paid about $3,100 total for an Amana GME8 Distinctions. My husband was sure they were all trying to rip us off on the installation but we compared a ton of prices on this site and it looks like we were not taken advantage of in our desperation to get a new furnace. 2-stage gas valve offers low-firing for maintaining heat level and high for boosting the temperature. Quiet and efficient EEM variable speed fan. Homeowner can run constant low-speed fan if desired for optimum air circulation and balance. Silicon nitride long-life igniter uses 115v service. Tubular heat exchanger with a lifetime warranty. Equipped to support an electronic air cleaner or 24v humidifier. Heavy-gauge galvanized cabinet is sturdy and well-insulated. 4-position design: upflow, horizontal, left or right for a range of installation options. Lifetime limited warranty on the heat exchanger to original owner in original house. If the heat exchanger fails in the first 10 years, Amana will replace the entire furnace. 10-year limited warranty on everything else. 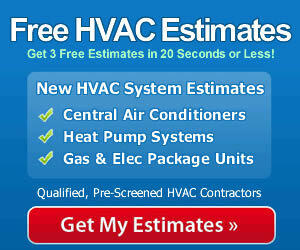 Even experienced handymen generally stay away from HVAC installation because of the intricacies it presents. Running gas line and connecting it so it doesn’t leak has inherent dangers; venting deadly exhaust gases must be done correctly; wiring improperly done can damage the furnace or cause fire. Besides the dangers, to get the best efficiency from a Amana GME8 Distinctions or any furnace the unit must be properly installed with gas pressure, air pressure and other adjustment precisely set. When you are talking to companies about their gas furnace prices, be sure to ask about the experience level of their installation crew. Using an experienced, qualified contractor is the best way to enjoy years of safe, efficient operation.